Kevin Callahan, proprietor of BNGO Books, is a print designer, ebook developer, writer, and speaker. 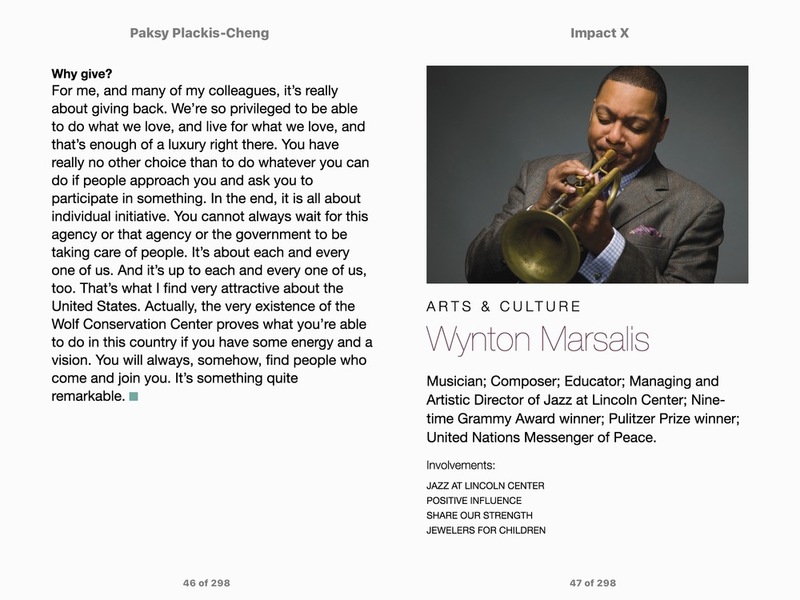 He focuses on making ebooks that are accessible, well designed, and a pleasure to read. There used to be two primary book formats: hardcover and paperback. Now we’ve got those, plus reflowable, fixed-layout, multitouch, and enhanced e-books. And it used to be that hot-metal operators did the typesetting, then cold-metal keyboarders, then desktop publishers. Now (because e-books are Web pages in a different package), code warriors are part of the workflow. BNGO is a design and production studio that makes books in all those technologies. We have spec'd type for hot metal and written style sheets for computer typesetters, and we were there at the beginning of desktop. 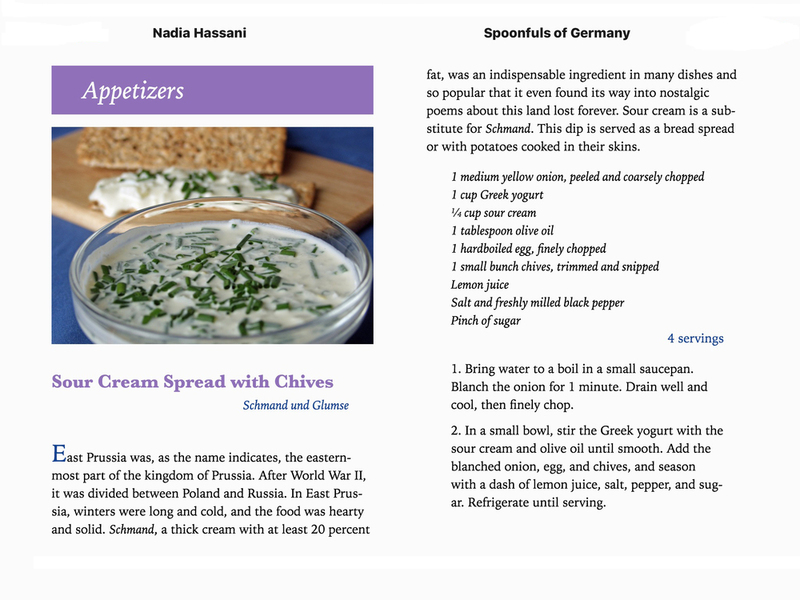 Today, we're immersed in digital publishing. BNGO helps self-published authors bring a single manuscript to both print and digital, and aids large publishers in moving hundreds of manuscripts from text document to print mechanical to e-book. The first gallery shows a mix of print covers and interiors, fixed-layout e-books, and reflowable e-books, all created by BNGO. No two stories or memoirs are the same. 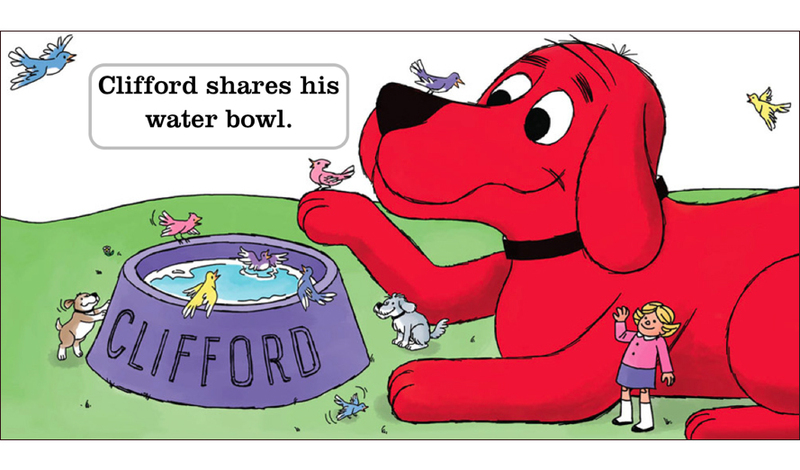 It follows that no two books — print or digital — should look the same. 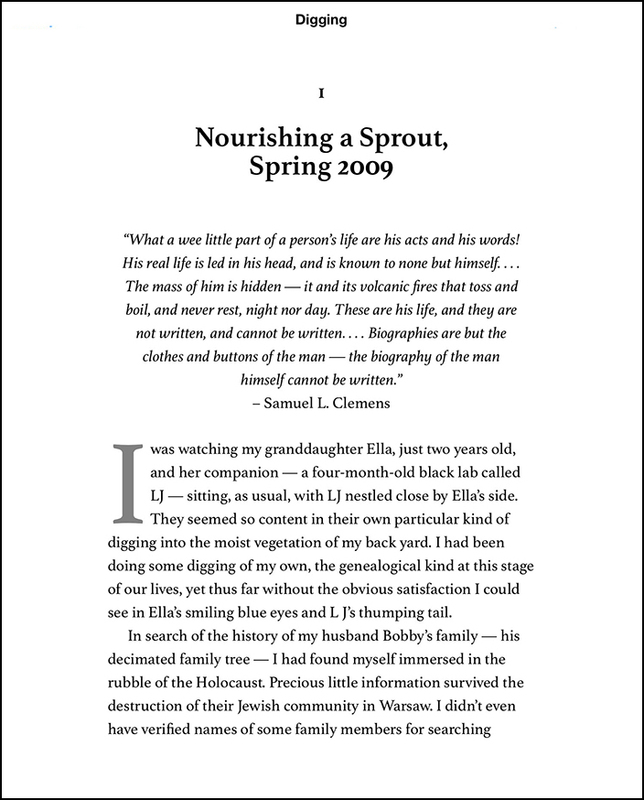 Our design goal is to guide readers through the text while conveying the book's character through typeface choice, hierarchies, and display and ornamental elements. These design tools have predictable results in print. But an e-book user can change the font and its size, alter the contrast from day to night, and flip the orientation from portrait to landscape. Digital designers have fewer options to lock in a design and make an e-book unique, but we guide the reading experience while allowing for the device user to access technology's options. 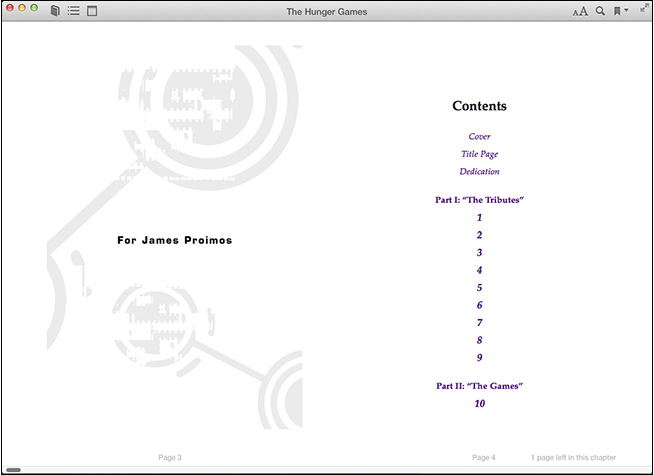 In the second gallery, notice the color and font variety of Andrew Jenks, the intricate alignments and decorations of chat, the curvy and indented poetry by Ellen Wright in the REZ eReader, and the print-derived frontmatter of The Hunger Games. 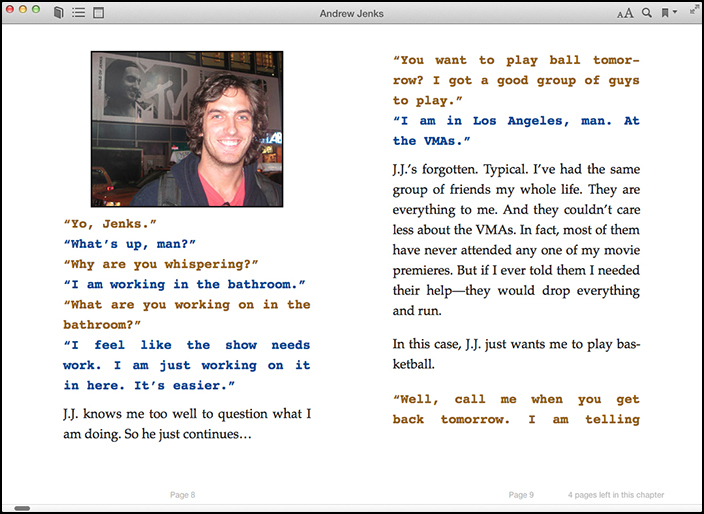 And check out the two examples of fixed-layout e-books: Swing with Me in My Family Tree and Year of the Jungle. More details about these books, along with more samples, are available here. You’ll find answers to your questions (and discover solutions to dilemmas you didn’t know you had). BNGO combines experience with collaboration, working with clients and colleagues to understand the whys and hows of contemporary publishing. What’s the best choice for your content: print, reflowable e-book, fixed-layout illustrated book, interactive, multitouch? BNGO can help figure it out, give examples of similar projects, and come up with a plan to bring your project to completion. Kevin Callahan is a frequent speaker at conferences, including CreativePro Week, PePcon, and ebookcraft. He teaches at the University level, writes for epubsecrets.com, and has a course on Lynda.com: Creating Fixed-layout eBooks for the Kindle. And be sure to read his blog, Apropos. There are so many pieces to today's publishing puzzle that no one knows it all. That’s why we find help as needed: Web-savvy designers, coders, editors, copy editors, proofreaders, marketing pros, metadata experts, indexers. Read the blog to find some answers, learn about options you didn’t know you had, and connect to other experts. Leave a comment to ask for more information or to suggest a post.